His promise to protect her…oh this is not gonna be a happy ending… I’m scared. When the two maid servants were knitting kneepads and Minglan was making another one, I was clenching so hard, wishing they were for Qi Heng….and they were! Phew! 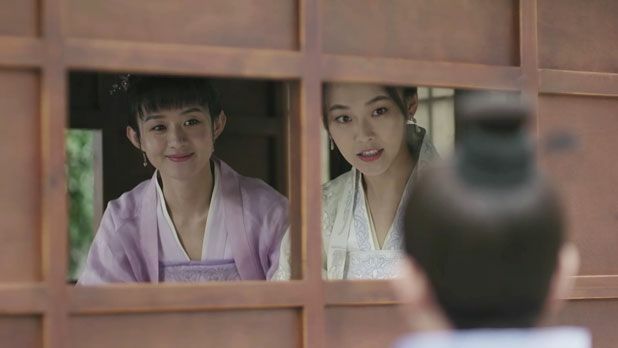 Love the tentative shy and full-of-butterfly moment here from Minglan. Qi Heng can’t contain his doofy grin. He seeks comfort in their little interactions. You are gonna kill me! Or your mother might. Lol. I adore his smile! So much hope! You know i just realized BuWei is zly’s artist..the one who acted as Yanxun’s servant in Princess agents. He hasn’t gotten a big break yet huh. I think it’s fair that she feels something for him, but she’s supposed to be smart enough to know it wouldn’t end well. Which she did to begin with, but somehow lost her wits in the middle. It’s not that the time traveler is more jaded. 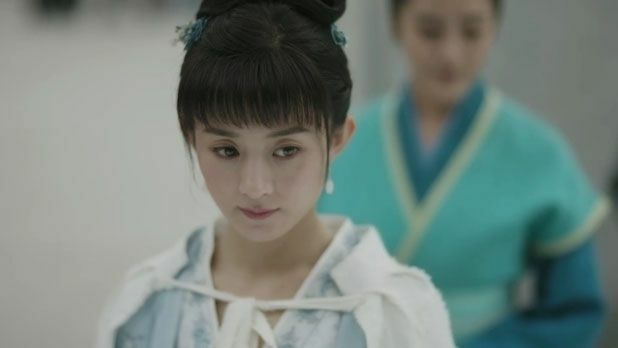 Without the time traveling aspect Minglan is still a concubine’s daughter who has nobody to depend upon except for her elderly grandmother who won’t be there forever. The alternate title of the book is literally “Concubine’s Daughter Story”. She lives her whole life being quiet as a mouse to protect herself. She is so calculative about everything that it’s hard to believe she would accept Qi Heng’s confession knowing the kind of family he belongs to. 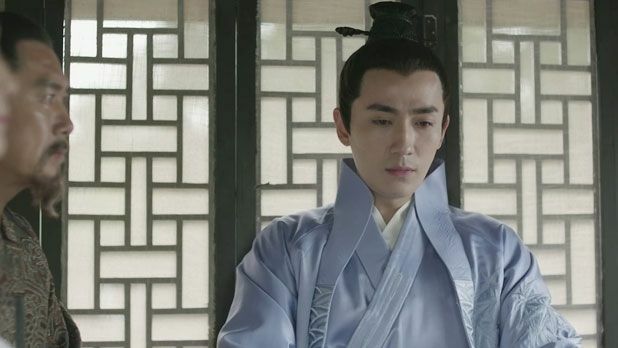 But anyway, I adore Zhu Yi Long so even though it’s my quibble it’s a minor one because either way XGY is screwed and I am heartbroken. Even though Ming Lan accepted XGY confession she was entirely clear about the situation and what will happen. I’d say she let herself hope because of how much XGY is doing for her. It’s clear from the way she says” I will not give up if he doesn’t” and again later when she says “if he marches forward I will follow”. It doesn’t detract from the fact she is smart. She knows the probable outcome but just wants to give it a try that’s all. Better to fight and lose than never to have fought at all. It’s just so she has no regrets. I actually like how she responded but was clear minded to pick up the pieces and move on when it didn’t work. Yea, i think hope plays a big role here as we have seen multiple times throughout the drama, when people tell her it’s impossible, she still wants to do it to show them and even herself that you never KNOW WITH CERTAINTY until you try. With the arrows in episode 1, then the polo game again when undefeated uncle joined the other sister. hope is a powerful little thing. Not understanding how Ming Lan is calculative. She is smart so far because the book readers keep on saying that…but as the drama watchers, we have never seen her being exactly that smart. Well, Qi Heng is handsome and cute but unfortunately, I do not suffer from second lead syndrome. Sorry! I think Qi Heng is a gentleman, romantic and full of sweet promises but when it comes to critical make or break situations, he always breaks. This is a sign of a weak and unreliable character. Worst still, and this is the part where I totally lost respect for the man; after the situation had changed (with his wife’s family), he did a 180 degrees turn and decides to go after Ming Lan again. Doesn’t the guy know that once you’d made a decision, you need to stick to it no matter what? This shows Qi Heng is an indecisive person. His decisions can be swayed according to circumstances or when under pressure. You know what they say……how do you know which is pure and which is fake? You put it through fire! When under fire, Qi Heng proved himself to be a fake and I think Ming Lan is smart enough to know this. Ming Lan has a quiet and intelligent strength. She is more suited to a capable man with a strong and firm character. If she ends up with Qi Heng (which thankfully she didn’t), she will suffer. 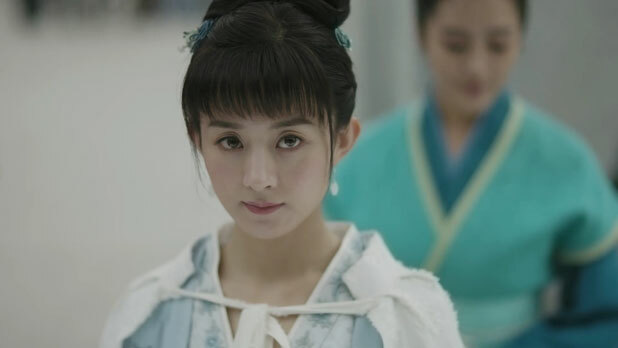 In fact, if Ming Lan is truly as smart a woman as she’s portrayed in the novel, even without Gu Ting Ye in the picture, she will not agree to be Qi Heng’s wife when he comes asking for her hand the second time around. That’s a harsh critique of QH. Given the circumstances, he didn’t really have much of a choice. His mother already let him know the consequences of his actions if he decides to marry ML. And his future in-laws threatened him into cowering, if not for himself, then for Ming Lan, since if he did marry her, it’s guaranteed her family will be wiped out of existence. And if you’re saying he didn’t try; he did. He even threatened to commit suicide in front of his in-laws to escape this marriage. But how can he leave behind grieving parents & the threat to ML’s life? Plus, if he HAD accepted GTY’s offer to kidnap the princess, he would no longer be that ‘gentleman’ we had all assumed he is. QH has a strong resolve, in that he persistently keeps trying. He doesn’t want to give up his goal, except circumstances were beyond him. But you can’t say he didn’t try and he did not disappoint in trying. When his wife was no longer a threat to his family or ML, he attempted again. And he aimed for an official position so that he can persuade his family into letting him marry ML. Are you telling me all of this isn’t effort? That it doesn’t take courage, resolve & decisiveness to do all of this? Contrast that to GTY who literally does not give a crap (given how he was treated by his ex-family), has a poor reputation, and lives for himself…he has nothing to lose. When you have no cares in the world, it’s easy to make reckless decisions to get to your goals. Yes this. Qi Heng lost the girl because he’s the 2nd lead. It’s already written in his stars, not because he’s undeserving or whatever. In modern days Minglan and Qi Heng would have little problem getting married. But in a world where kidnap and murder for one’s hand in marriage is possible, Qi Heng has his parents’ lives to think about, Minglan’s life to think about. Look at what happened to Consort Rong’s sister. And his own father was kidnapped. What were his choices really? Gu Er Shu has a family that scorns him. So he goes and does what he wants, because he has the freedom to do so. Different circumstances. 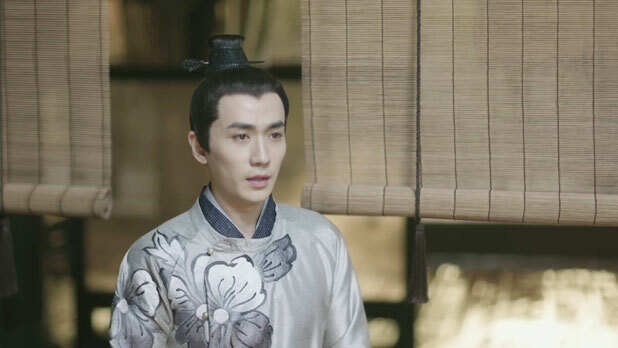 Qi Heng eventually has a peaceful marriage with his last wife, even if he doesn’t love her, which means it isn’t an absolute given that marriage to Minglan would be bad had they married. Even though Gu Er Shu has Minglan’s back, many times she was also left to her own defense in dealing with his family. It isn’t as if she lives a trouble-free life in his house. If you choose a path, you just need to make the best of it. Minglan in the novel never warmed up to her husband until later in the marriage. She, too, was skeptical of his love and protection because these things are hard to say unless you actually go through them. @Carolie, Yes. I understand where you are coming from; hence I emphasized the fact that I lost all respect for him for trying to marry Ming Lan the second time around. Let me elaborate. We can all empathize with Qi Heng and his reasons why he didn’t kept his word to marry Ming Lan due to his family and political situations. However, I disagree that trying to commit suicide as an argument for “not cowering”/ “bravery” or persistence/resolve. Committing suicide is a coward’s way out of a difficult situation. Some would argue that it takes bravery to commit suicide. Then, I would counter that argument by saying it takes greater bravery to live and face those difficulties. What’s even worst is to use committing suicide as a threat against your loved ones. How childish is that??! When Qi Heng attempted that, I lost part of the respect I had for him from the earlier episodes. He only stopped when the much wiser Ming Lan told him to…..which showed the difference in maturity between the two. Also, I will not cite committing suicide as an example of perseverance or bravery. That’s a wrong and dangerous perception. Do you really want young people to think that when the going gets tough and you can’t get what you want, you can put your foot forward by threatening your loved ones by killing or harming yourself? On the contrary, Gu Ting Ye may be an imperfect character with his murky past, he’s actually a much mature and wiser man than Qi Heng. He portrays himself as having no cares in the world, but in actual fact, he thinks deeply. 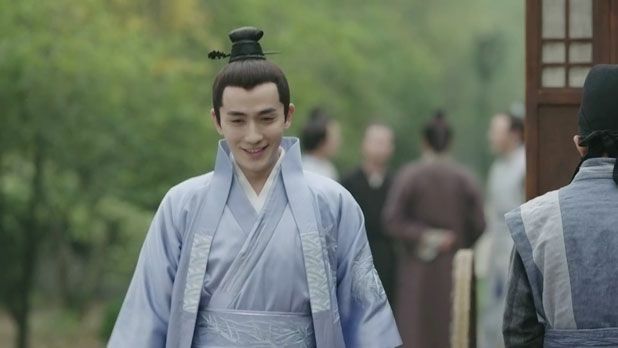 The fact that he tricked Ming Lan into marriage by moving so many pieces on the chessboard and by understanding human nature while preserving Ming Lan’s honour, shows that he’s not as simple as you think he is. Calm waters run deep. He was understanding enough that when Qi Heng was going after Ming Lan, he even offered to help Qi Heng marry her. But once Qi Heng let go of Ming Lan, he wasted no time in plotting to get Ming Lan. 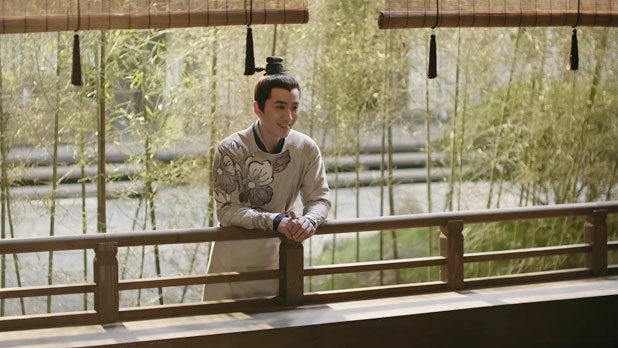 Unlike Qi Heng, he made sure that there will be no possible exits when it comes to marriage with Ming Lan. He understood that it’s not about how much you can sacrifice to get the girl, but how you can give the girl what she wants. And then to reveal all his efforts at the right time to Ming Lan in a strategic move to win her over. Even Ming Lan, after calming down, was secretly happy that he had put in so much effort just to get her. 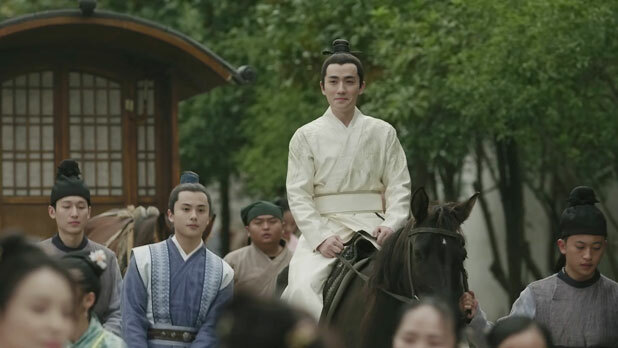 Gu Ting Ye is one character that undergoes a lot of growth from a rowdy youth, to a philandering man to a great general while Qi Heng is one character that started out great but progressively lost standing. Therefore, do not judge the book by its cover! @Aryael – Again, I think your assessment is misguided. GTY grew up with street smarts, hence his ability to read into people’s nature & motivations. Which is why it’s easy for him to sway and manipulate those around him to do his bidding. 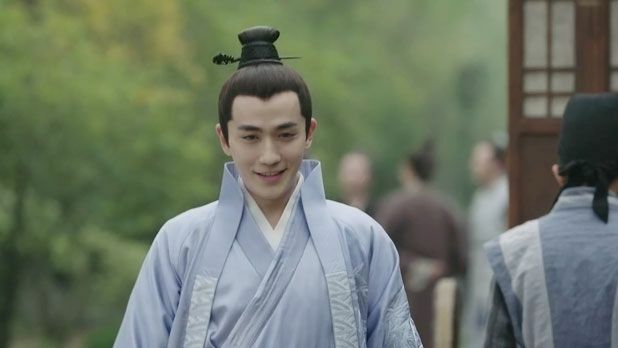 Does he make a better partner for Ming Lan, in that case? Definitely, because Ming Lan is also the type who can read others around her. They make a perfect pair based on those qualities. And c’mon, if he has a chance in winning her back, i don’t see any reason for not pursuing. Her direct rejection is another matter. He doesn’t understand the intricacies in reading the situation at hand. He doesn’t grasp the implications of his actions, but when enlightened, he does step back to reflect. I attribute his lack of foresight to his upbringing, which like @Marina and @maymay stated, is no fault of his own. That does NOT equal a weak character. At most, it signifies he’s not very worldly, which was reflected & foreshadowed, during the earlier episode when the class was asked whether family position should matter when selecting the next emperor. Qi Heng’s answer was idealistic, GTY’s answer was open-minded & Ming Lan’s answer was wise (but passive). This directly reflects all of their personalities. QiHeng made effort, undoubtedly so…but it was doomed to fail because it was such a straighforward method…again no fault of him because he is such an upright and pure person he did not consider other complicated means. And I suppose he was a little overconfident that his mum would yield. 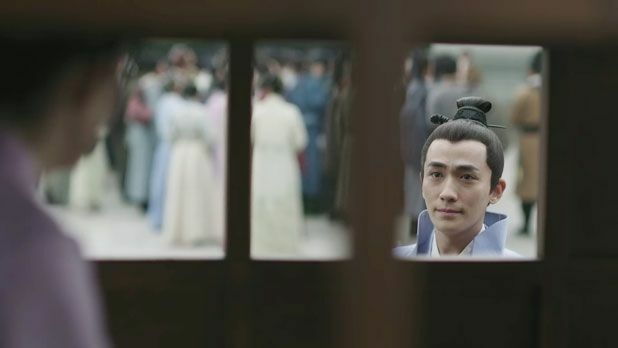 GuTingYe had the benefit of being free from the shackles of family and honor but if he were to ask for MingLan’s hand properly he would have been rejected too. Him being the crafty fox he is, schemed to make sure he could get MingLan..of course luck played a little role as well but he wasn’t really complaining. The conversation between GTY and QH also reminded me how MingLan’s reputation took a beating because of QH’s open affection. The drama doesn’t portray it clearly but reputation and “face” is a big thing in those conservative society. 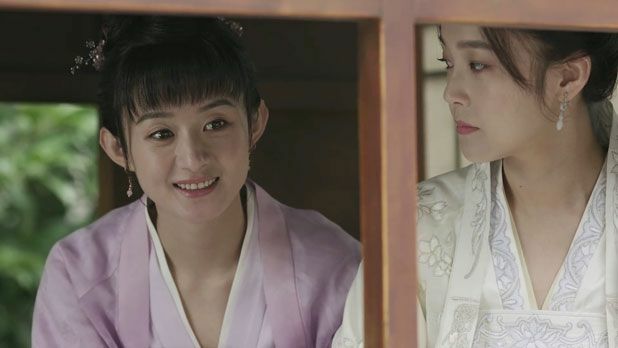 The marriage market would not be kind to MingLan…who fortunately still has her grandma to look out for her. MingLan got over her heartbreak so I definitely don’t expect her to accept QH again. Especially since she never even knew of his intention at all (this time he was super discreet about it? lol). Thank-you for the input Maymay! Qi Heng was not raised on the streets like GTY, so how could he learn to scheme so elaborately like the latter? Not a fair comparison. Qi Heng is mostly guilty of his unawareness of the crappy world he lives in. Spoiled and pampered so he can’t see how his actions affect others in the moment. hopefully he learns and matures. Wow, I’m late at the party, but the discussion is interesting, so I would like to add in my 2 cents. This whole mess, I’m sorry, but was mainly QH’s faults. ML has repeatedly rejected him, tried to explain to him how his affection could hurt her, how the relationship was impossible. But did he listen? You can blame it on ML on giving him hope, but you can’t blame it on her when it’s QH himself that was unable to understand how reckless and inconsiderate his actions were. If he really did listened to her when she warned him, he would never (a) Play that polo match, by helping her in the polo match, he the one who told the whole world about their relationship, made her the target for other people’s jealousy and a weapon to use against him. (b) Asked his mother’s approval on her birthday, it was dumb, of course his mother was furious. (c) Asked Buwei to help him meet with ML, what was he thinking? He really thought his mother would not figure it out and punished Buwei? (d) Threatened to commit suicide and fasted, honestly, that was extremely ungrateful to his parents; and again, only made people see how much ML had a whole on him, how could he not think that his actions would only hurt her??? All in all, you can say that he had “no choice” whatsoever, but his actions only reflect in how he is a selfish and entitled person, who only think about his own happiness. Gu didn’t need his “street experience” to understand that he need to protected her reputation. He saved her multiple times, but never let any of their interactions hurt her. Based on his actions i listed above, I don’t think he ever considered her reputation with the same care. And can we stop with the “street experience” is Gu’s advantage? The guy has his entire family out to get him, got kicked out, risked his life multiple time on the street and on the battlefield. He’s been through so much, so much more than the spoiled Young Lord, I hardly find his “street experience” lucky or an advantage. He freaking earned right to marry whoever he wants. I hope you know QH’s princess wife was killed along with her parents and brothers during rebellion. QH is now a widower and why can’t he ask for her hands in marriage? Most viewers including GTY are complaining why QH didn’t go propose right after his wife died. Although GTY mentioned that QH focused on studying and passing the exam, only those who did not care about proper societal etiquette/rules like GTY will propose marriage during mourning time for late emperor, mourning time for his wife (cannot remarry within a year), and his mom’s sickness (her mental health was not stable after being shamed by Rong Fei and Yan Wang). Been away and came back here with so many comments to read. Can I just summarise it all by saying we agree to disagree? I think our analyses of the characters are biased by our own preferences and life experiences. Some women prefer Qi Heng sort of men and think he’s cute and romantic…or maybe they are fans of the actor and whatever he does, he can do no wrong in their eyes. Some women prefer Gu Ting Ye sort of men and think he’s more suited for Ming Lan. It’s all just a matter of opinion. But can I safely conclude that we all love this drama? Maybe that’s why we are all so passionately commenting on the drama and its characters. 🙂 …. and I hope Kappy has caught up with all the episodes!